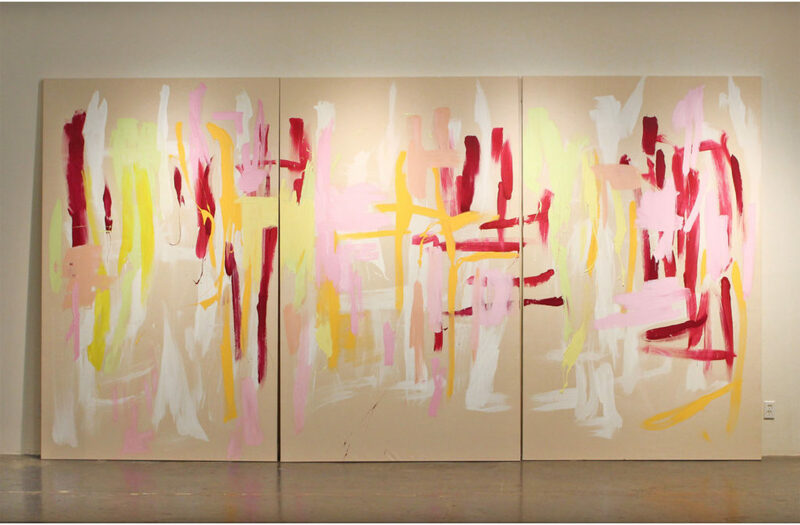 Lydia Cohen’s large scale paintings address current political and social issues. Her series ‘Deserted Cities’ depicts cities located in Northern Iraq and Syria with empty roads and abandoned buildings deserted due to social and political turmoil and violence. ‘These Female Bodies, Trapped’, employs the use of soft textures met with definitive lines creating a powerful triptych. Each canvas defining a different element of the female body. The triptych seeks to explore the women caught in the war and the physical abuse and enslavement they face. Lydia is a gifted channel for Five Dimensional energies such as Sirians, Pleiadians and more recently a group naming themselves The Loved Ones. This energetic communication takes form visually within the make up of the art work or is directly transcribed through text. This communication from the spirit world takes place through claircognizance (knowing), through visual imagery and through verbal channeling during altered states of consciousness. Her practice also engages in the aesthetic language of music videos and advertising whilst often manifesting and taking the form of live art. She is interested in the placement of bodies existing in a space in time and the action/lack of action held within in this period. Lydia’s work focuses on political and social concerns in the contemporary world in particular issues including the Western gaze, distortion and misrepresentation of the Middle East within Western media. Lydia has been shortlisted for both the Catlin Art Prize and UAL’s Future Maps Art Award. Her work has been featured in The Guardian, Wonderland Magazine and Hysteria Magazine. She was awarded the Kala Art Institute Fellowship Award 2017.